So I recently had a dear friend ask me to make a special card for her to give to a special person this Christmas. How could I say NO to that?! I started with an image I printed and then colored with my Copic markers. This is the first horse I have colored but I really liked how it turned out! 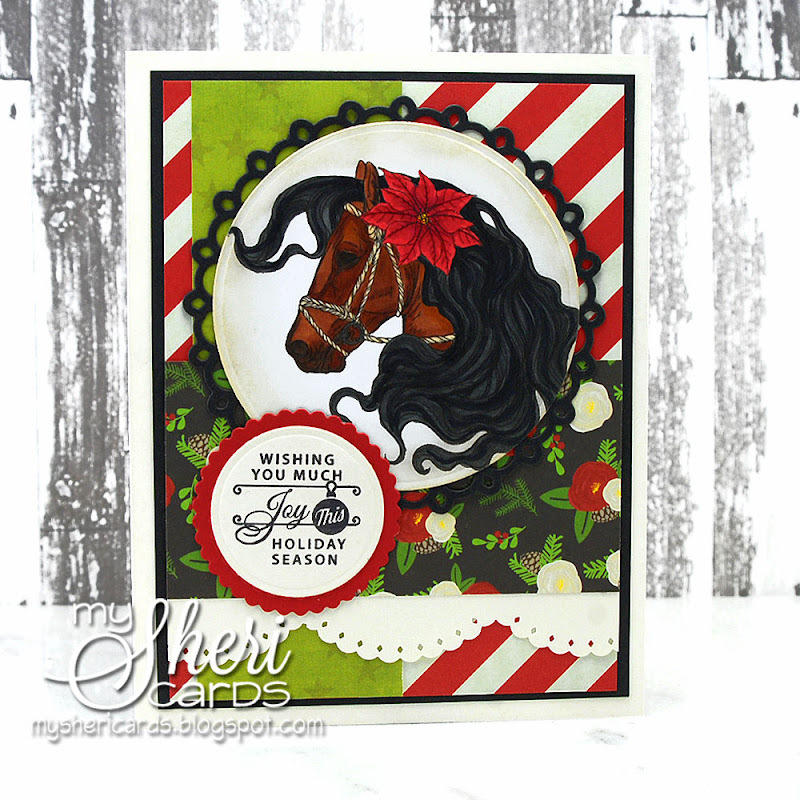 I just added some scraps of pretty paper I had in red and green with touches of black. 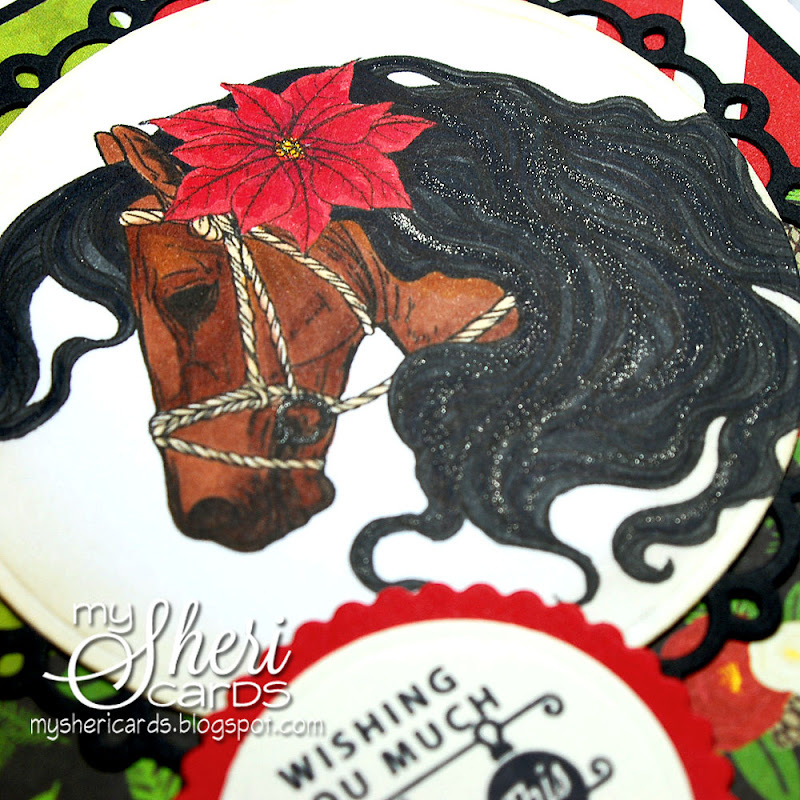 A little shimmer in the mane and a poinsettia make it festive. What a gorgeous card! I had no idea you were so talented a copic colorer! Great Job!